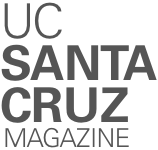 UC Santa Cruz is home to the last working metal foundry in the UC system, giving students the opportunity to experience an unusual level of artistic discovery. As a practicing studio artist and teacher, I approach new subjects by placing them within their greater context. To this end, imagine a technological “boom” that changes everything all over the world, almost at once. Imagine a revolution in communication, social media, data storage, augmented human intelligence, computers, advanced calculation, transportation, globalization, tools, art, and technology. This was the level of radical change at the dawn of the Bronze Age, a “disruptive” period about 5,000 years ago that nearly simultaneously saw the invention of the wheel, the first written languages, sailing, the abacus, year-round agriculture (allowing urban civilization and an intellectual class), and its namesake: the first alloyed metallurgy on a broad scale. Here at UC Santa Cruz, we’re still practicing the ancient art of bronze casting—appropriate for a campus that formed during a period of civil, cultural, and “Space Age” transformation. 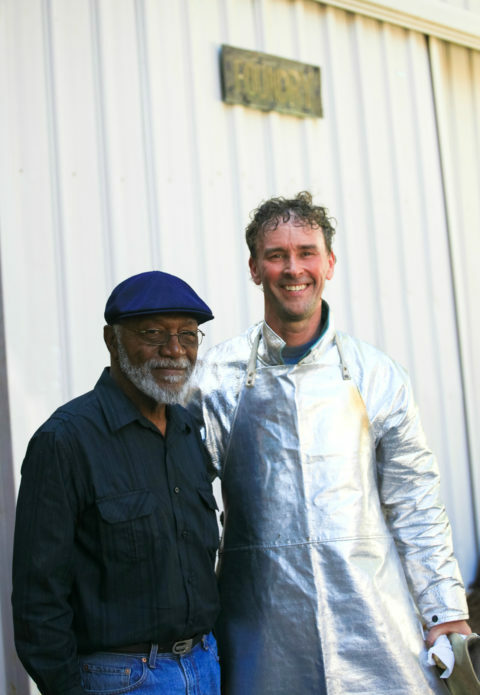 Much like UC Santa Cruz itself, discovery and the blending of innovative technologies form the foundation of the only bronze art program in the UC system, begun in the late ’60s by Art Professor Doyle Foreman. The Arts Division also now includes an Open Lab program to promote collaborative research between the disciplines of arts and sciences on campus. In this era of the “maker” phenomenon, UC Santa Cruz art students have an opportunity through the foundry program to fully explore the expression of their ideas in tangible form through proper technique, fire, and brute force. Students discover an elegance and power in this almost “alchemical” casting process, by using positive/negative mold-making techniques to turn clay into wax, and to turn that wax into bronze through the “lost-wax” (cere perdue) method of casting, manifesting their unique artistic visions. Students can also use 3D printers in the Arts Division to generate patterns from corn-based filament and cast into bronze, a recyclable, copper-based alloy that has a long history of being made into fine art during times of peace and melted down and made into weapons during times of war, and so on. 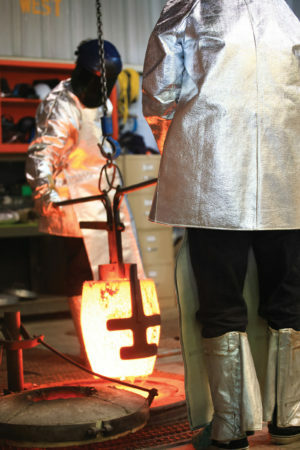 Students have the opportunity to experience this versatile and unique level of discovery at UC Santa Cruz, which has the UC system’s only bronze art foundry. Students often comment that it has been one of their favorite courses, exposing them to a beautiful and durable medium that is found in art galleries and routinely used for public commissions by professional artists. I have the pleasure of witnessing students grasp the possibilities of new processes, in moving from one medium to another, discerning the best methods to employ in each step of the way toward realizing a concept, and identifying ways to transfer skills and ideas to other artistic media. Recent donations of kilns, tools, and workspace improvements from excited patrons have updated and improved the facility, part of the well-rounded UC Santa Cruz Arts program. Our class bronze pours—500 pounds of 2,150°F molten metal—are open to the public every fall and spring quarter. All finished student artwork can be viewed at the Elena Baskin Visual Arts Center at Open Studios, held on the last regular Friday of each quarter. Sean M. Monaghan (Kresge ’83, art) is a lecturer at UC Santa Cruz and adjunct faculty at Cabrillo College. He owns the Bronze Works art foundry in Santa Cruz, which he opened in 1992. He recently completed “Pearl Diver,” a large bronze fountain at 49 Municipal Wharf, Santa Cruz. Sean M. Monaghan sits in his overflowing foundry studio on Coral Street in Santa Cruz and says he likes to think of the art of bronze casting as the first high-tech revolution. That UC Santa Cruz—where the human genome was first sequenced and the next generation of powerful astronomical instruments was developed—would also have the last working metal foundry in the UC system is not lost on Monaghan. In fact, says the 1983 Kresge College graduate who not only runs his own successful Bronze Works Fine Art Foundry but also teaches foundry classes at UC Santa Cruz, the two aren’t incompatible. UC Santa Cruz’s foundry sits behind the Theater Arts complex in an unprepossessing metal building. But walk by on one of the campus’s two yearly “pour” days and the place roars with heat and excitement. Wearing Kevlar suits, gloves, and aprons, Monaghan and his assistants heat ingots of silicon bronze to a sweltering 2,100 degrees, then use a bridge crane to lift a crucible of melted, white-hot metal and pour it into molds students have made. Students and visitors crowd behind yellow caution tape awaiting the outcome of work that required weeks of preparation. First, says Monaghan, students sculpt an idea in clay (a positive, as he explains). Then a mold is made (a negative) into which wax is poured (another positive). Then that positive is coated in plaster or ceramic and heated up so the wax melts out (a negative) and finally the melted bronze is poured into the cavity and becomes the desired object (a positive). In between are plenty of ways for mistakes to happen: cracks, spills, flaws, unfilled sections, even small explosions. Student Samuel Mora (Kresge ’17, art) describes the process as a life lesson. Among those who would agree is Art Professor Emeritus Doyle Foreman, the man responsible for building the campus foundry. Foreman, a quiet 82-year-old, arrived at UC Santa Cruz in 1968 as an artist with a make-it-work attitude. A short time later, the young university’s first foundry was set up in the old blacksmith’s barn on campus. Foreman remembers the place as not being especially well-equipped, mostly because a kiln needed for the casting process would have posed a big fire hazard in the historic wooden building. In 1975, Foreman was able to get a \$150,000 capital improvement grant and build a new foundry behind the Theater Arts complex. It was in continuous use until 2008 when the recession sparked a budget squeeze. But instead of closing shop, Associate Professor of Art Jennifer Parker and then–Dean of the Division of Arts David Yager stepped in to save it. She and Yager, however, saw how the shop could be integrated with the new technology. They raised funds, squeezed budgets and hired Monaghan to reopen the foundry in 2012 with up-to-date equipment and a remodeled space. “As much as we want innovation and new technology, we also want to maintain,” says Parker, who believes hands-on processes like metal casting not only stimulate critical thinking but also help students learn how to translate ideas into the physical world. She also talks about how touching and manipulating material in real time—as opposed to designing something on a computer—often changes the evolution of a project. Monaghan agrees, slipping easily into a conversation about some of the world’s most famous bronzes: Donatello’s “David,” the giant temple bells in Japan and elsewhere that took great time and labor to craft, the stunning Riace bronzes cast around 450 B.C. and discovered centuries later under the Ionian Sea by a snorkeling chemist. Monaghan’s own works are located throughout California and beyond, including a fanciful drinking fountain on the Santa Cruz Municipal Wharf. Not only does Parker believe the foundry fits with the organic, do-it-yourself nature of UC Santa Cruz, but it also allows student to experience the very roots of a process that changes the way they look at the world.